Everything is done via mobile these days, right? I’m seriously at the point where I reach for my phone over my iPad at night. It’s just a given. Do I need to look up something to help my children with their homework? Do I need to search for information on this weekend’s weather patterns? How about when I need to figure out what song is playing at the mall when I’m out with friends? It all happens with one click and with one hand. Honestly, there’s no going back. So, it makes complete sense that CVS had decided to add an incredible convenience to their already expansive list of awesome offerings. Now, with CVS Pay, you can walk into a store with your phone and pay for your items with ease. LOVE IT! If you run out of the house without your wallet, it’s no longer a problem. In just a few steps, you will be set up for purchases, coupon access, reward retrieval, and more! 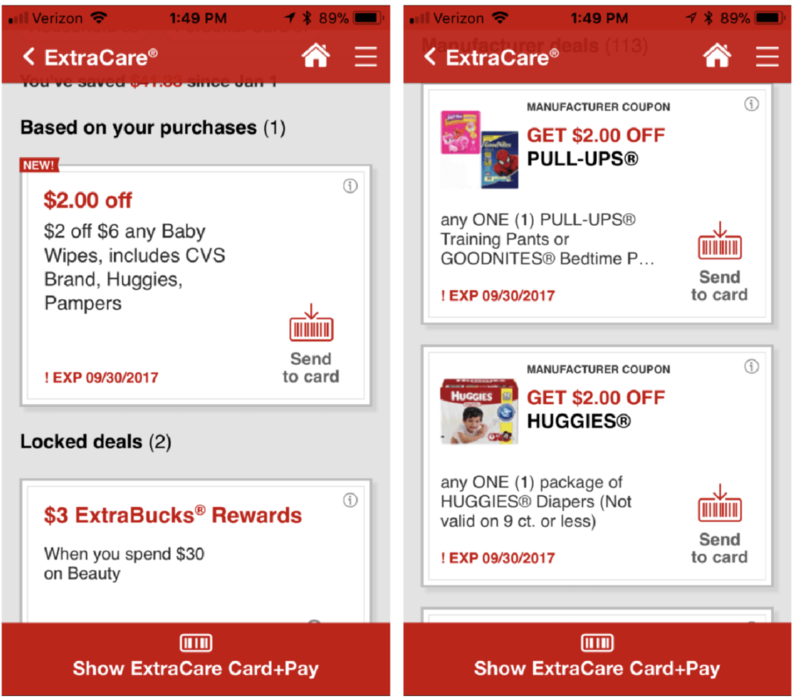 You can find CVS Pay within the CVS Pharmacy mobile app. That’s right! Now you can access your ExtraCare loyalty program and pay for your goods all in one place and through one quick scan at checkout. How Else Can Customers Use CVS Pay? For customers picking up a prescription, CVS Pay offers a simple, private and end-to-end pharmacy experience. Customers will have the ability to refill, manage multiple prescriptions and get alerts when prescriptions are ready, all within the app and then pick up and pay using a single barcode. Customers can also link their ExtraCare card with CVS Pay, meaning a single scan at checkout will process all ExtraCare deals, earn new rewards and handle payment for the transaction. As you can see, there is also a section to check out possible coupons to retrieve for your shopping trip. Simply add them to your digital profile and then head to the register. It’s that simple. 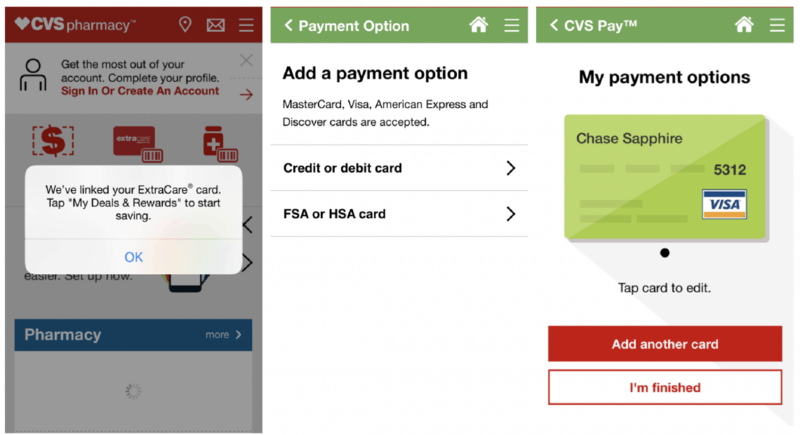 To use CVS Pay, all you have to do is add a credit or debit cards into the CVS Pharmacy app. When you are ready to check out at a CVS Pharmacy store, simply show the store associate the barcode in your app. If you are someone who likes to use the drive-thru, no problem! Tell the associate your pickup number instead. Once complete, you will receive a confirmation of payment in the app. Where Is CVS Pay Available? 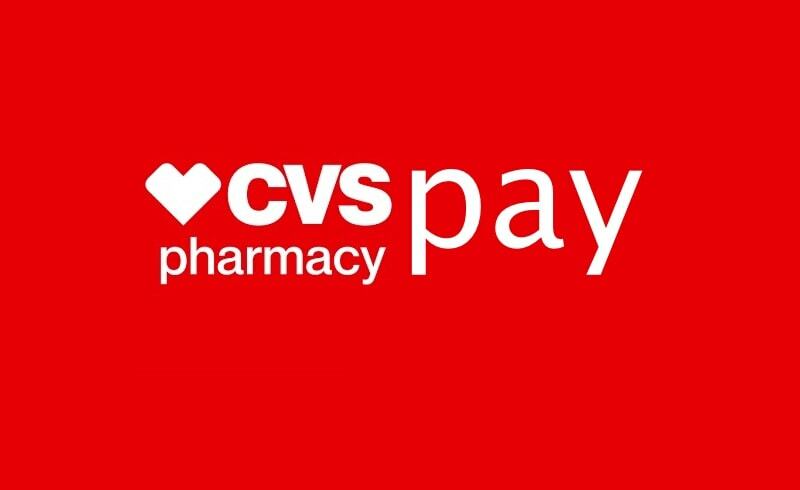 CVS Pay is available nationwide and ready for download for iOS and Android devices. It’s on the same platforms the CVS Pharmacy app is available on today and works with all major credit (MasterCard, Visa, Discover, American Express), debit, Health Savings Account, and Flexible Spending Account cards. Previous Post: « GoPro Hero6 Black: Top Tech Gift Of The Season! This is so awesome! The savings and ease of use is fantastic for me and my hectic schedule. Thanks for the heads up. Now this definitely makes tings easier. I think it’s awesome that you can get discounts as well when you have the app! It’s really convenient. CVS is our pharmacy of choice but honestly, this is the first time that I’ve heard of this app. LOL. Will check it ASAP.